Holly Miller left her fundraising job over a breach of ethics. After receiving a concerned call from her grandmother’s friend, she hops into her boyfriend’s car and heads to her Oma’s inn in Wagtail, Virginia. On the way there, she stops at a convenience store and gas station and is chosen as the new mom of an adorable abandoned Jack Russell. A few miles away from the inn, Holly witnesses something strange. She sees a man standing in the road. His identity veiled by the night. If that didn’t scare her half to death, a car exploding off the side of the road does. She immediately calls the police. The officer that arrives on the scene is old friend, Dave Quinlan, who she last remembered had gone into the Navy. He tells her to go to her grandmother’s Sugar Maple Inn and that he’ll know where to find her with further questions. Arriving with no luggage, worried about her Oma’s health, and what she observed on the road, has Holly off kilter. After being reunited with her grandmother, she learns that a ski instructor at Snowball Mountain and a Sugar Maple Inn’s night auditor was struck by a car. Sven was killed when while he and Holly’s grandmother, Liesel (Oma) were looking for Dolce, a show dog that Oma and Ellie Pierce co-own. What makes the book interesting is not only are they trying to deal with an inn that caters to guests and their cherished dogs and cats, Holly and Officer Quinlan are both trying to figure out who killed Sven. 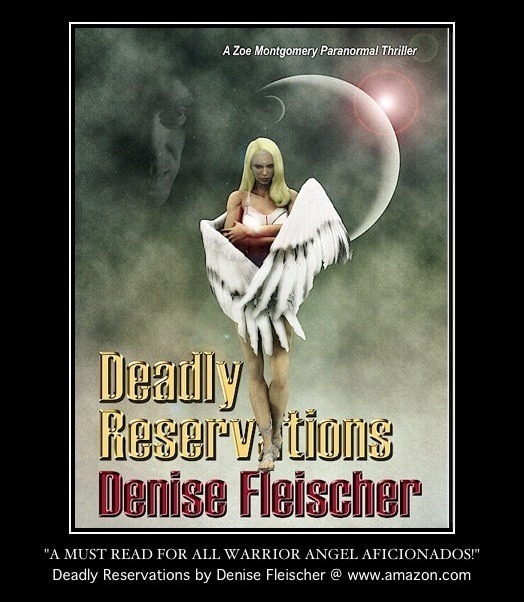 No sooner i one man transported to the morgue when another is found dead. Now the sleepy town of Wagtail has a whole lot of explaining to do if they want to keep their guests and residents in town. A cast of curious characters make this a fun book to read. That’s what I love about cozies. 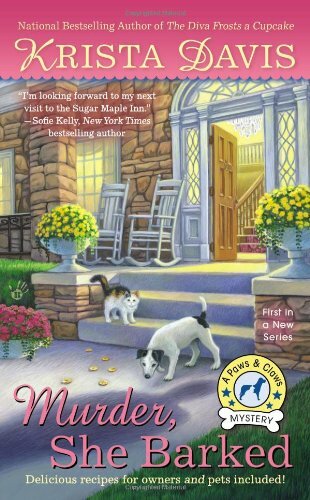 Krista’s first “Paws and Claws” mystery has you easily falling in love with “Trixie” the rescued Jack Russell, “Twinkletoes” the cat, who seems to know everything going on and gets around the inn without being seen. She lists the characters in the beginning so you can keep track of who everyone is. The mystery unfolds with the assistance of the animals, which is clever. They’re not just there to grab the attention of animal lovers. You really don’t know who is guilty of the crime with so many realistic possibilities. The clues she offers are like cookie crumbs so you have to sweep them up and try to figure it out. She does lead you down a few paths so you’re not really sure till the end who really did it. 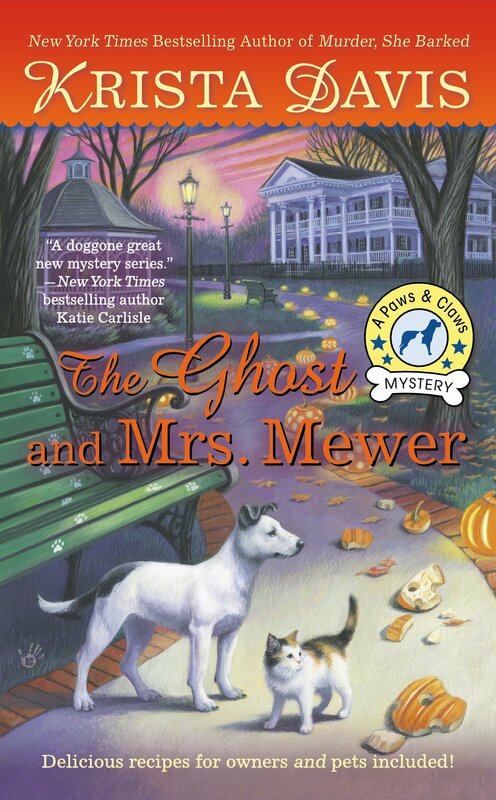 Looking forward to reading “The Ghost and Mrs. Mewer,” which is slated to be released on Dec. 2. 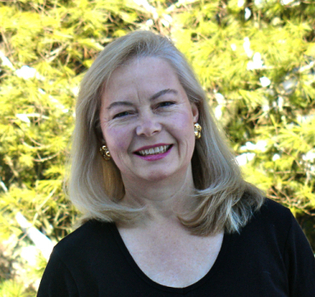 New York Times Bestselling author Krista Davis writes the Domestic Diva Mysteries and the Paws & Claws mysteries for dog and cat lovers. She grew up devouring Nancy Drew, the Hardy Boys, and Agatha Christie and still loves a good mystery. Like her domestic diva, Sophie Winston, Krista enjoys cooking (okay, eating!) and entertaining, but she’d just as soon leave the cleaning to someone else. She lives in the Blue Ridge Mountains with two cats and three dogs.